The spine or backbone provides stability to the upper part of the body. It helps to hold the body upright. It consists of several irregularly shaped bones, called vertebrae appearing in a straight line. 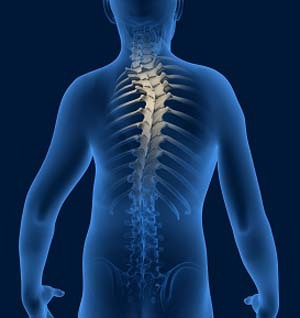 The spine has two gentle curves when looked from the side and appears to be straight when viewed from the front. When these curves are exaggerated, pronounced problems can occur such as back pain, breathing difficulties and fatigue and the condition will be considered as deformity. Spine deformity can be defined as abnormality in the shape, curvature and flexibility of the spine. The different types of spinal deformities include scoliosis, lordosis and Kyphosis. Scoliosis is a condition where the spine or back bone is curved sideways instead of appearing in a straight line. It curves like an “S” or “C” shape. Lordosis is a condition characterised by abnormal excessive curvature of the spine, sometimes called swayback. Kyphosis is a condition where an abnormal curvature of the spine occurs in the thoracic (chest) region resulting in round back appearance. Anterior approach: In this procedure, the surgeon will approach the spinal column from the front of the spine rather than through the back. The incision is made on the patient’s side, over the chest wall or lower down along the abdomen, depending on the part of the spine that requires correction. The lung is deflated and a rib is removed to reach the spine. After the exposure of the spinal column, the disc material between the vertebrae involved in the curve is removed. Screws are placed at each vertebral level involved in the curve, and these screws are attached to a single or double rod at each level. After instrumentation, a fusion is performed, the bony surface between the vertebral bodies is roughened and bone graft is placed. A combination of compression along the rod and rotation of the rod will correct the spine deformity. The incision is closed and dressed. Posterior approach: It is the most traditional approach and the approach is made through the patient’s back while the patient lies on his/her stomach. The incision is made down the middle of the back. Hooks are attached to the back of the spine on the lamina, and screws are placed in the middle of the spine. After the placement of hooks and screws, a rod that is bent and contoured into a more normal alignment for the spine is attached and the correction is performed. After the final tightening, the incision is closed and dressed. Anterior and posterior approach: This approach is used in cases where the curve is stiff and severe. The first approach to the spinal column is made from the front. The incision is made on the patient’s side, over the chest wall or lower down along the abdomen. Disc material between the vertebrae is removed. This procedure requires removal of a rib, which is later used for bone grafting. Video-assisted thoracoscopic surgery (VATS): This is a minimally invasive technique performed using a small video camera. The patient lies on his/her side; four incisions of 1 inch are made on the side of the chest wall. A thoracoscope, a thin instrument with a tiny camera and light at its end, is inserted through one of the incisions. The thoracoscope transfers images of the inside of the chest onto a video monitor, guiding the surgeon to perform the procedure. Retractor, suction and other surgical instruments are inserted through other incisions. Steps involved in the anterior approach are performed which involves intervertebral disc removal, bone grafting and instrumentation. Lung is deflated to gain access to the spine. The incisions are closed with an absorbable suture and the deflated lung is re-inflated.